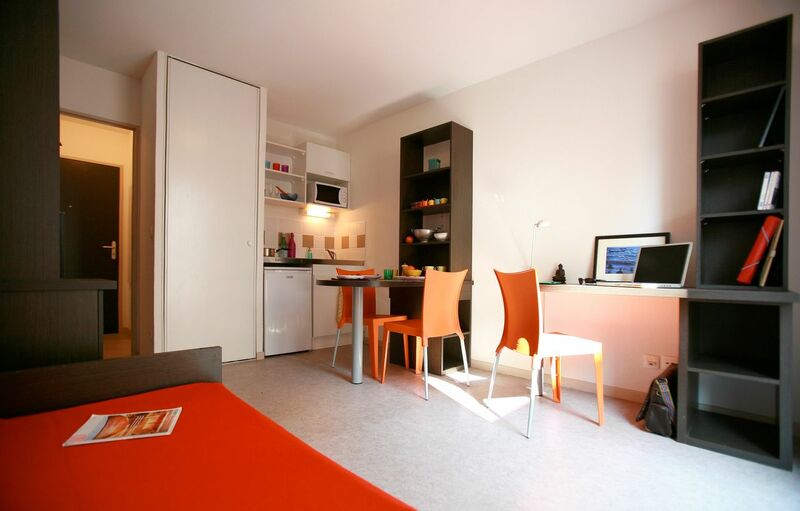 Set up home in the student accommodation at Résidence Carré Villon, a block away from the light rail in the Le Bachut Quarter. When you get hungry, pick up Mexican snacks at King Tacos, two minutes away, and head to Bowlingstar around the corner to roll a few frames on the 32 alleys. Take a walk through the neighbourhood to see Musée Urbain Tony Garnier, a series of famous gigantic murals, about 10 minutes away. Before heading back home, kick back on the patio of Kaffee Berlin with a coffee and a sandwich, then catch a movie at Musée Lumière, a film museum and cinema. 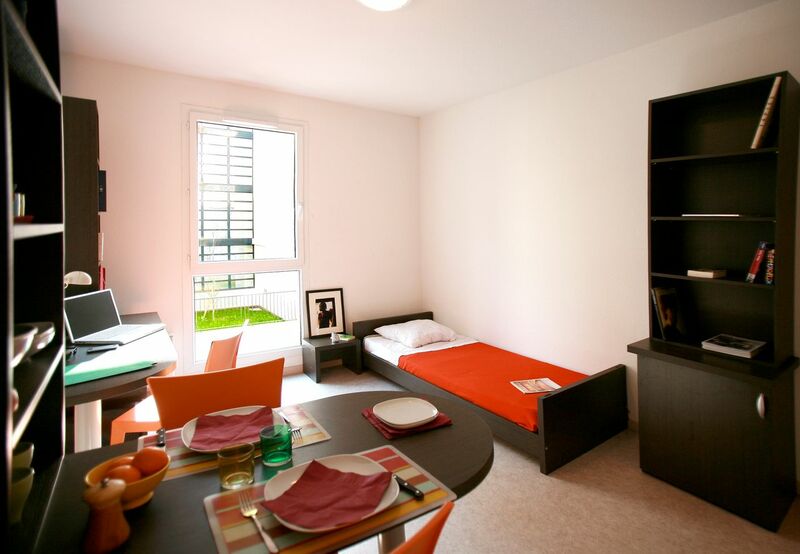 Discover your ideal student life with a fully-furnished apartment at Résidence Carré Villon in Lyon. Enjoy a separate bathroom with a shower and wash basin and double bed in your bedroom. 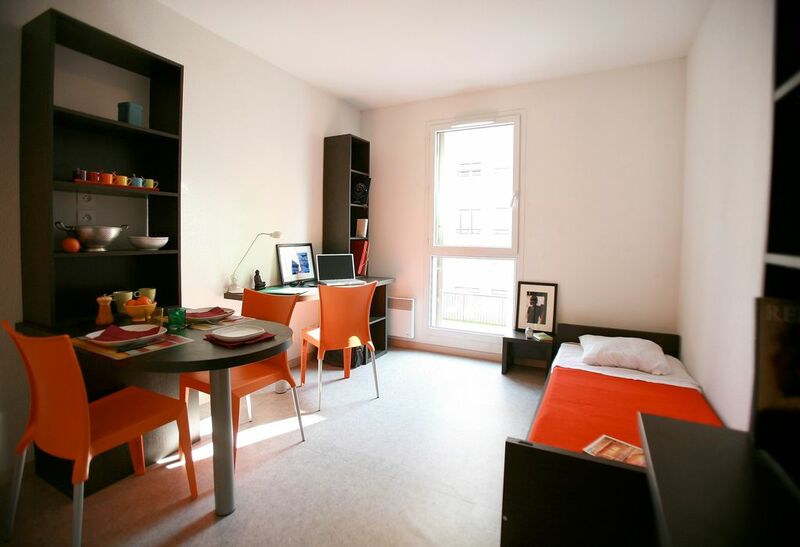 Kick off your morning with a stroll through Lyon to your classes at Université Jean Moulin Lyon 3. The campus is about 15 minutes away on foot. If you have classes at Lumière University Lyon 2 or École Normale Supérieure de Lyon, you can ride public transportation. Head down to the parking garage and hop in your car for a 15-minute drive to both Université Claude Bernard Lyon 1 and Institut National des Sciences Appliquées de Lyon. you can whip up a meal in your kitchen at any time. Enjoy your meal in the eating area, then get ahead on your chores with a load of laundry at the on-site facilities. Settle in at your desk to finish up a project for one of your lectures. 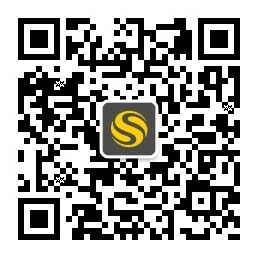 Connect to the internet that’s included in your rent to collaborate with your classmates. Later on, take a break from your homework and make a pot of coffee. Step out onto your patio for a breath of fresh air and sit down and scroll through your messages on your smartphone. You can also head to the relax and word zone in your building to socialise with your neighbors. Wir haben leider keine Unterkunft gefunden, die deinen Wünschen entspricht.Alle Ganze Wohnung in Résidence Suitétudes Carré Villon ansehen.